Durant bought Buick Motors in 1904 and soon desired a business model that combined several automakers under one parent company. He later purchased more than 20 companies, including Pontiac, Oldsmobile, Cadillac and Chevrolet – establishing General Motors (GM) in 1908. Company headquarters were in Flint, Michigan, and the company was set up to compete and beat rival Ford Motor Co.
As cars cars became mainstream products, GM flourished and expanded its business portfolio by acquiring automobile parts manufacturers such as Hyatt Roller Bearing. The company also bought business in other industries like Frigidaire. Another appliance subsidiary bought by GM was Delco Appliance Corporation. Delco produced boilers and conditionairs. The company’s product line from the 1930s includes the Delco-Heat Harmonized Boiler which featured air-cell asbestos insulation. As part of its war effort during World War II, GM produced tanks, naval ships, weapons and fighting planes. Following the war in the 1950s, GM resumed automobile production and concentrated on innovation, such as developing an automatic gearbox. It also pioneered automobile designs like independent front-wheel suspension, a one piece steel roof and power steering. GM prospered in post-war America in the 1950s and demand for automobiles rose as the average family became a two car household. 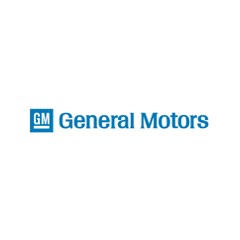 In the 1960s, GM diversified its business and included divisions and subsidiaries in insurance, locomotives, electronics, and banking and financing. The company’s sales were up and its return on investment went from 16.5 percent to 25.8 percent. However, the company’s business model was not prepared to meet a shift in market demand. Beginning in the 1970s, GM began to struggle with competition from Japanese automakers and internal problems. Consumers started buying smaller gas efficient cars, and GMs large “gas-guzzlers” lost 35 percent in sales. The company had also largely ignored air pollution control which cost the company $2.24 billion to meet state and federal pollution regulations. By 1977 the number rose to nearly $5 billion. Exposed to Asbestos at General Motors? In an attempt to reinvigorate its sales, GM spent $60 billion to redesign many of its models in the 1980s. However, its shares continued to decline. From 1990 to 1992 the company lost almost $60 billion. Rising employee healthcare costs and a pension fund that had ballooned to $76 billion combined with a dismal yearly profit set GM steadily on the road to financial difficulty. To add to the company’s financial troubles, because it produced and bought parts containing asbestos from third-party companies like BorgWarner, GM was named in thousands of asbestos injury lawsuits. The company was forced to file bankruptcy in 2009, and after a government bailout, the company emerged from bankruptcy the same year. The majority of asbestos-related lawsuits filed against GM stemmed from of asbestos-containing brake linings and clutch facings. In 2016, an Epidemiology and Health study from Sweden calculated asbestos-related cancer rates for different occupations. According to the research, former mechanical engineers and technicians are 67 percent more likely to develop mesothelioma than the general population. In one claim against GM, auto mechanic Roland Leo Grenier alleged that asbestos from brake linings and clutch facings manufactured by GM and Ford Motors caused him to develop mesothelioma. Grenier, who was a mechanic for 36 years, said he was exposed to chrysotile asbestos while grinding, repairing and removing friction products such as brakes and clutches. He was diagnosed with diffuse malignant mesothelioma in 2005. At the trial, expert witness Dr. Richard A. Lemen testified that according to his study of more than 165 cases, friction products containing asbestos can cause mesothelioma. Based on the evidence presented at the trial, the jury awarded $2 million be paid, to the plaintiff, by both GM and Ford Motor Company. General Motors was found to be 70 percent liable for the plaintiff’s damages. During the appeal, the defendants alleged that Grenier made $2 million “just for appearing at court” despite the fact that he was virtually paralyzed on one side of his body, was in constant pain and could barely breathe. Grenier is only one of thousands of individuals who suffered an asbestos-related illness as a result of General Motors Products. By 2009, the company was liable for an estimated $636 million in asbestos claims. The lawsuits pushed the already struggling automaker to file bankruptcy in 2009. In another case, warehouse worker Mark Buttitta was exposed to asbestos while working at a GM warehouse when he handled brakes and clutches. Prior to working at the warehouse, his father worked at another GM warehouse and brought home asbestos on his clothing. Buttitta was diagnosed with mesothelioma from primary and secondary asbestos exposure, and a jury awarded his family more than $30 million in damages. Following the bankruptcy reorganization in 2009, debt incurred by “old GM” was transferred to Motors Liquidation Company. This included all asbestos liability claims. The Motors Liquidation Company Asbestos PI Trust officially opened on April 30, 2012 to settle any present and future asbestos lawsuits. GM factories that produced products using asbestos-containing parts and materials contained high levels of asbestos dust. In addition to auto mechanics and warehouse employees, brake and clutch assemblers and boiler workers were among the occupations that were endangered by asbestos because of GM. GM’s asbestos-containing products also put auto parts sales people and consumers at risk for asbestos exposure. The parts were readily available at do-it-yourself auto parts stores and were handled by both employees and customers. Because GM subsidiaries like Frigidaire and Delco manufactured appliances that used asbestos to insulate boilers and ovens, appliance repairers and installers were also exposed. From the 1930s through the 1980s, General Motors utilized asbestos as a friction material in brakes, brake linings and clutch linings. Apart from the brake components that it made, General Motors also utilized asbestos in other parts that it purchased or manufactured, including adhesives, gaskets and electrical parts. When the company diversified in the 1930s, it added appliances to its line of products including Delco-Heat boilers lined with asbestos. In 2011, GM posted a record $7.6 billion profit and has paid back $26 billion of the $49.5 billion received from the government in 2009. The company sold 640,000 more cars and trucks in 2011 than in 2010.